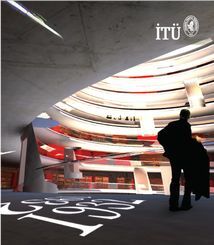 Architectural education at Istanbul Technical University (ITU), with its long history of both innovative and conventional values, contributes to the contemporary architectural production in Turkey. The Department of Architecture’s mission is to equip the students with environmental awareness and skill to approach architectural issues with a critical thinking and historical consciousness. Each student is provided with ethic and aesthetic values as well as with a concern for the society’s and individuals’ well-being, along with an understanding of contemporary technological developments. The vision of the department is to give students the opportunity to enhance their intellectual capacity and develop their architectural identity in an internationally credible and high quality educational atmosphere. Du ring four years of under-graduate and two years graduate programs, ITU Department of Architecture provides a rich variety of courses for the students by contribution and participation of approximately 130 teaching/research staffs who are expert in their specialty areas and has reputation in professional practice, in addition to Double Major opportunities provided by the other departments in the faculty. In addition to studies at the intersection of social sciences, such as philosophy, sociology, psychology, typology, morphology, history and management sciences; also the findings of the studies at the intersection of natural sciences, such as building physics, building/construction technology, materials science, structural systems and preservation/restoration are shared with the students in the education programs at both levels. Laboratories of the specialty groups of the Department support experimental studies in education. Total credits to graduate from both Turkish and English programs, are 156,5. ITU Faculty of Architecture Department of Architecture runs several graduate programs both in ITU Graduate School of Science, Engineering and Technology and ITU Graduate School of Social Sciences. Architecture (thesis and non-thesis), Environmental Control and Building Technology, Architectural History, Project and Construction Management, Restoration graduate programs in Architecture Department, where as Architectural Design Computing graduate program and the inter-disciplinary programs Urban Design as well as Real Estate Development are the graduate programs that are run by ITU Graduate School of Science, Engineering and Technology . Moreover, the Ph.D. studies in Architectural Design, Architectural History, Restoration, Building Sciences, Architectural Design Computing and History of Arts also run by the mentioned institutions above. For further information, please visit the website. ITU Faculty of Architecture Department of Architecture has a vast number of international relationships for educational purposes, some of them are listed below. Consrv. of Hist Building Sites. Arch. Survey & Restor. Std.